I was involved from the beginning of the project and was able to see how it grew from an idea and a vision to actuality. 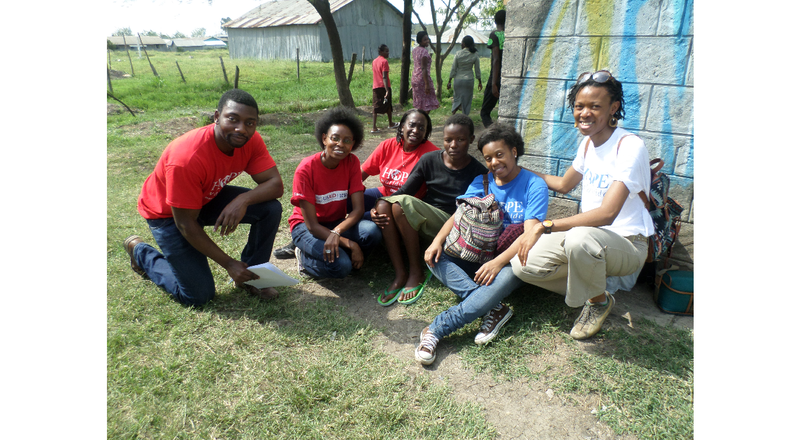 I was one of the coordinators and assisted in organising the group whilst in Kenya. I was specifically involved in the Business Programme. This involved me working with some of the team on the ground in Kenya who had a good knowledge of the needs of the people out there. I had the opportunity to specifically work with fashion and hairdressing students as well as local performers teaching them the basics of financial record keeping and the importance of budgeting and forecasting in business. This was achieved through classroom style presentations and smaller group interactive discussions. I wanted to get involved because for a long time, I felt a strong desire to help the poor. I felt a great sense of gratitude over all that I have been blessed with in life and really wanted to play a role in helping others. My place of origin is Ghana so going to Africa really appealed to me. I also wanted to do something that would inspire others to want to help those living in humble circumstances. I was able to interview a young man called Emilio who shared about his life. He informed me that he grew up with 19 other class mates and that 15 of them had died mostly through getting involved in crime. He was one of the 4 people that survived growing up in Mukuru through good people in the community helping him turn his life around and introduce him to God. His dream is to help transform the slum where he lives into a popular destination for people to live. He is studying IT and runs his own business. He dreams of “bringing London to Mukuru” i.e. transform Mukuru into a popular destination like London. What a vision for someone who has gone through so much. The team did an amazing job – everybody from the volunteers to the staff on the ground. The children and teachers learned a great deal from the teaching programme, people who would otherwise not have been able to afford treatment were able to receive excellent medical care, close to a hundred young men and women received basic training in finance and marketing and a large number of performers were able to record a movie of life in Mukuru as well as produce their own song. I found this experience truly exhilarating. I have found it incredibly fulfilling focusing on giving to others. It has given me a greater sense of appreciation of all that I have and it has really helped put my challenges in perspective. I would encourage everyone to experience what I have. The joy on some of the faces of these people when they receive help is truly amazing, it is humbling and made me ponder how I can best do more to help others. Its an amazing reward to see how you can positively impact lives. “The Kenya Project” has given me true understanding of the phrase “Giving is Living”. This entry was posted in International, Uncategorized and tagged HOPE worldwide Kenya, HOPE worldwide UK, The Kenya Project. Bookmark the permalink.